As more organizations work globally, leaders need to understand how to lead across expanded geography with increased complexity. 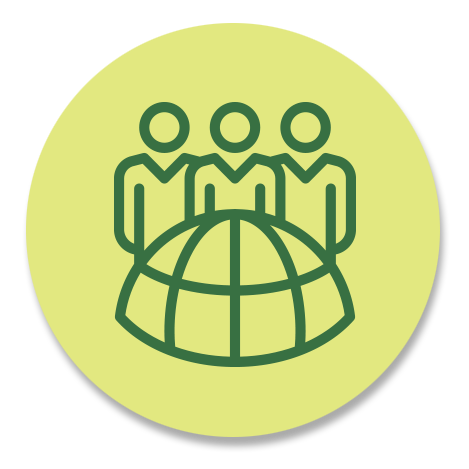 How are you positioning yourself to navigate the global landscape? We believe one key to effective leadership is to listen to people who are highly successfully and also those researching, teaching and helping successful leaders develop. Our Voice America series, Innovative Leaders Driving Thriving Organizations is designed to present genuine conversations with successful leaders and academics across a broad spectrum of fields talking about global leadership. This resource is intended to offer unique, high value conversations and research. Most of these conversations were recorded at the International Leadership Association global conference and are accompanied by blog posts for those interviewed. We just launched an online global leadership program that combines the award winning workbook with the latest global leadership interviews. Contact us to learn more about this and other online programs that can be offered as stand alone training or augmented with coaching and in person or Zoom based remote training. 2014 International Award winning book, provides a practical approach for successful and developing leaders to build the global innovative leadership skills required to lead and build thriving global organizations. It is designed for busy leaders who want a comprehensive process accompanied by worksheets, tools and reflection questions along with samples completed by a person testing as a “Level 5″ leader using the term pioneered by Jim Collins in his best selling book Good to Great. Interview with Cynthia Cherrey, CEO and President of International Leadership Association focusing on insights and recommendations. This conversation features leadership from global and local perspective and explore the international leadership association and its contribution to the research and practice of international leadership. Cynthia Cherrey lives and works at the intersection between research, teaching and the practice of leadership. The Geneva Centre for Security Policy (GCSP) and Center for Creative Leadership (CCL) Alliance for Advancing Leadership in Peace and Security was formed to advance the practices of leading in public, private, non-profit organizations and civil society: especially those dedicated to advancing peace and security. The Leadership Alliance combines expertise in executive education for large, multi-level organizations with in-depth knowledge of peace and security issues and policy in an innovative formula for geopolitical, community, and international leadership development. The leaders offer unique insight into how this partnership was formed, why they think it is a priority and how they are proceeding as an organization. During this conversation, Mike Hardy, PhD talks about peacefulness – and leading toward an increased level of peacefulness. How Do We Work And Live With Purpose and Compassion? Éliane Ubalijoro, PhD and Maureen discuss leadership the context of the changes we anticipate in the coming years from population growth in Africa to climate incidents to block chain and what is required of leaders now in this era. Barbara Kellerman, James MacGregor Burns Lecturer in Public Leadership at the Harvard Kennedy School is the Founding Executive Director of the School’s Center for Public Leadership. As part of the International Leadership Association (ILA) series, Barbara Kellerman, recently awarded the ILA’s lifetime achievement award, discusses her thoughts from a global perspective on the end of leadership as well as her point of view about followers, leaders and contexts given our current environment. Papandreou, former prime minister of Greece, talks about how he navigated major challenge as a leader. One of my key take-a-ways was the importance of building trust and demonstrating courage as foundational skills to leading in turbulent times. Interview with Cynthia Cherrey, CEO and President of International Leadership Association and Ajay Bramdeo, African Union Ambassador to the European Union talking about why international leadership matters now. Cynthia created a global conference designed to deeply engage individuals and groups and fundamentally evolve the science and practice of leadership and build a global community of innovation and collaboration. She discusses the conference and the underlying invitation to for leaders to continue to explore this very important topic by engaging in the difficult process of personal growth as leaders continuing to strive to improve our craft of leadership. By helping leaders understand their own views and behaviors when facing diversity, we enhance our leadership capacity. When we eliminate segments of the population because they appear different, we remove valuable insights and perspectives. The 21st century is a relationship age. Mike discusses the forces of prejudice versus the forces of pluralism. Juana talks about the eight leadership principles that set the foundation for cross-cultural leadership. These are drawn from best-selling book “Salsa, Soul and Spirit – Leadership for a Multicultural Age” Juana discusses the principles and illustrates them with examples that apply to our current global organizational environments. Rattan talks about planning and implementing global strategies. 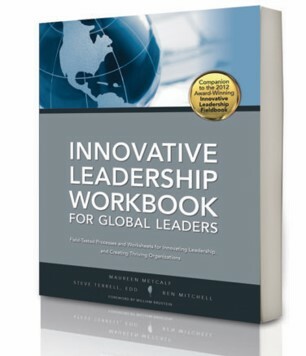 Steve Terrell, co-author of the Innovative Leadership Workbook for Global Leaders talks about developing global leaders.